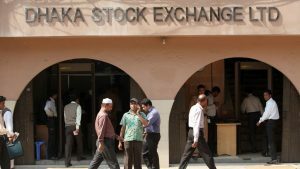 Like other sectors of Bangladesh economy, share market is also diversified in terms of types of securities it offers: 17 mutual funds, 8 debentures, and 275 stocks! 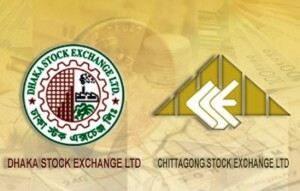 Even so, to those knowledgeable, making money on Dhaka Stock Exchange (DSE) is much easier than on NYSE with simple techniques. So, one might think it would have been impossible for an investor to lose money during a period marked by such an exceptional gain. But some investors did and stood as “demonstrators” in front of DSE as the hapless ones bought shares only when they felt comfort in doing so and then proceeded to sell when the headlines made them uneasy. Those investors forget the basic rule of investing: Buy undervalued shares and sell overvalued ones. 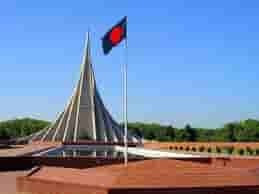 Before one starts investing in share markets in Bangladesh, one needs to focus on three points. First, one needs to determine how long is one’s investment horizon. The longer is the investment horizon, the more money one will make because stocks, in the long run go up. The investment Guru and also the world’s wealthiest man (as of February 11, 2008) Warren Buffett in one of his articles, “Buy American. I am.” on the daily New York Times on October 16th, 2008 says, “fears regarding the long-term prosperity of the nation’s many sound companies make no sense. These businesses will indeed suffer earnings hiccups, as they always have. But most major companies will be setting new profit records 5, 10 and 20 years from now.” Our investors hardly have such a long investment horizon as Mr Buffett though his optimism is true for our stock markets too. All of us want to be rich overnight. Earning money is not that easy unless one is in politics! Second, one needs to ask one self: How much return is wanted? This is because one needs to sell out one’s position whenever one exceeds the target profit margin rather than getting greedy. Third, also understand that there is a trade off between risk and return: the more risk one takes, the more money one will make. So, one has to be sure about one’s own level of risk tolerance. Information plays most vital role in investment decision making. Thus, one needs to know the sources of information. Most information sources can be obtained on a company’s financial statement which you can collect from the company’s register office or from SEC library. In addition, you should be a keen reader of the financial pages of daily newspapers. Bangladesh already has a few daily, weeklies or fortnightlies specialising on finance, e.g., the daily Financial Express. 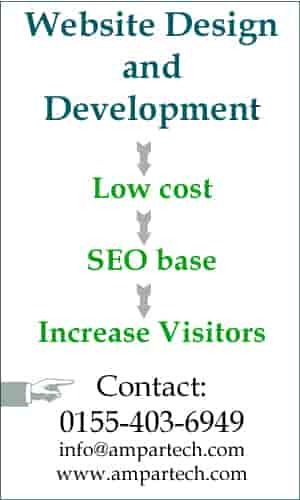 DSE website or the respective company’s website can also provide some information regarding your investment decision. AIMS of Bangladesh also have a weekly market review on its website focusing on stock markets in Bangladesh on their website. However, the SEC still has a huge role to play in creating a mechanism to provide information to investors. Though one investment suggestion does not fit all since investment advices mainly depends on investor’s goal and level of risk tolerance, here are three classic steps to invest successfully in a stock market: First, though it is difficult, purchases shares in a company that appear able to sustain above average earnings growth for at least five years. Picking stocks with growing sales is the most important secret of investing in stock market. Consistent growth not only increases the earnings of the firm but also boosts the multiple that market is willing to pay for those earnings which will skyrocket your capital gain. Thus, the purchaser of a stock whose earnings begin to grow rapidly has a potential of double benefit – both increased earnings and capital gain. Second, never pay more for a stock than can reasonably be justified by a firm foundation of value. Though one can never guess the exact intrinsic value of a share, one can roughly evaluate when a stock seems to be relatively priced. The P/E ratio is a good place to start. One should buy stocks selling at multiples in line with, or not very much above, this ratio. Not only buy stock with low P/E ratio but also look for growth situations that the market has not already recognised by bidding the stock’s multiple to a large premium. Buy stocks whose P/E’s are low relative to their growth prospects. If one can be even reasonably accurate in picking companies that do indeed enjoy above-average growth, one will also be rewarded with above average returns. Besides different softwares are also available online to value a share for free! Third, do not trade too much. Research shows that frequent trading of shares cost an investor in terms of fees, commissions, etcetera. which decrease return of an investor substantially. Moreover, one will have to pay tax on one’s realised gain whenever one sells off one’s shares. Buy shares in this declining market now. Warren Buffett shares his investment principle: “Be fearful when others are greedy, and be greedy when others are fearful.” One hardly can predict the short-term movements of the stock market. What is likely is that the market will move higher, perhaps substantially so, well before either sentiment or the economy turns up. In a declining market, people who hold cash equivalents feel comfortable. They should not. So, buy shares of fundamentally sound companies now, hold it and make money. If you wait for the robins, spring will be over. Buy now. Pay less, sell high.